Here is today's - or rather, this week's, sorry - entry in the A-Z of Awesome Japan! 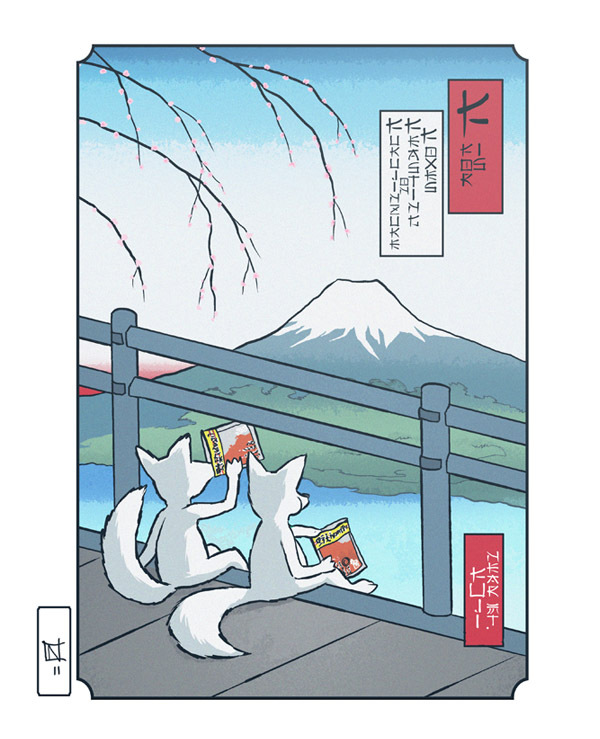 Foxes are a popular figure in Japanese mythology; principally the magical shape-shifting fox Kitsune, a messenger of the Shinto deity Oinari. Fukujinzuke is a mixture of pickled sweetened vegetables - aubergine, daikon, cucumber, radish and such - whcih is popular as an accompaniment to curries and other dishes. It is very possibly my favourite single thing to eat in the whole world, and every time all the shops in Oxford run out of it (which is distressingly often), I want to CRY. Mount Fuji is a big ol' mountain. Another entry in the A-Z coming after Easter. You can if you wish please sponsor me to carry on doing these - all donations go to the Japan Earthquake & Tsunami Relief Fund and are hugely appreciated.